Liverpool manager Jurgen Klopp is sweating over the fitness of two key players ahead of facing Bayern Munich on Tuesday night. 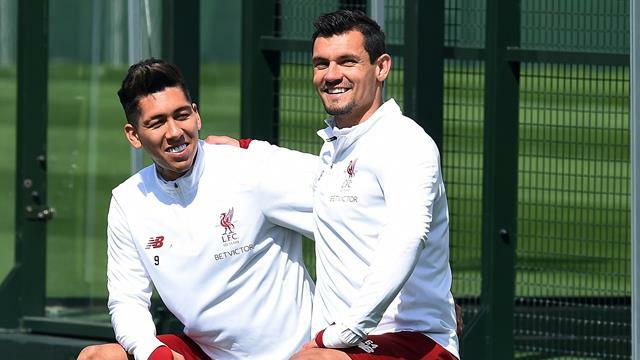 Roberto Firmino and Dejan Lovren did not train at Melwood on Monday ahead of the Champions League last-16 clash. Firmino is suffering from a virus while defender Lovren hasn't played for Jurgen Klopp's side since sustaining a hamstring injury during their FA Cup third round defeat at Wolves on January 7. The Croatian international was absent from the Reds' warm weather training camp in Marbella last week, meaning Fabinho could play at centre-back against the German champions. Virgil van Dijk is suspended while Joe Gomez is sidelined with a fractured leg, meaning Joel Matip is the only available natural central defender. "We have yet to see. Shaq (Xherdan Shaqiri), yesterday he had a training session but we have to see how he reacted today, that was the plan for today, being in proper training. " "It's good having another option. Shaqiri trained yesterday and looked very good. "In the Champions League, against Bayern Munich, it's not an easy job but we don't want our last guy alone defending against (Bayern). It depends on how we defend in general and that's it. "There will be a lot of moments where we have to defend and we've worked on that."